Made from Cotton/Polyester Nano-Gear fabric, these shirts are designed to look and feel fresh even at the end of a long day. The fabric is wrinkle resistant, breathable and stain repellant-even red wine slides right off. 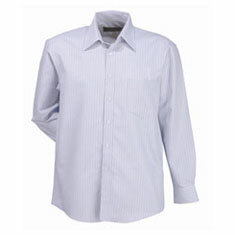 70% combed cotton combined with 30% Cool Dry makes this shirt ideal for the busy executive. 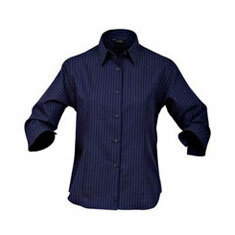 Featuring easy-care yarn-dyed striped Herringbone fabric.